Packard Cabinetry designers can achieve a variety of architectural & structural preferences at varying price points in order to meet the wants & needs of homeowners, builders, designers & architects. 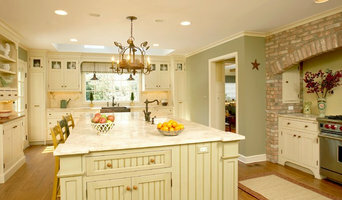 We are a family owned and operated kitchen and bath cabinetry company located in Asheville North Carolina. For over 30 years, we have prided ourselves on our quality craftsmanship and timeless design. Hoeh Works, Inc exists to provide the best service and attitude at every project at every site. We strive to create finished projects that have a lasting, positive effect for our clients. My design expertise and approach bring together all aspects of construction and design, beginning with the initial concept & ending with the finished product. 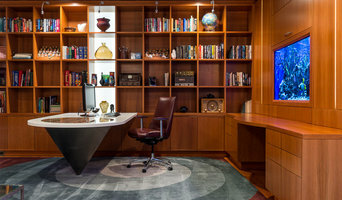 Designing, creating, specifying and executing all phases of the job have given Mason a unique perspective into the details of how to create and design projects from inception to completion. 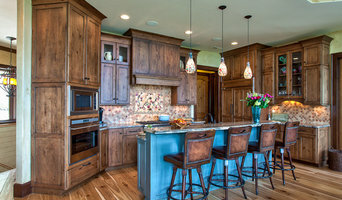 Fine Custom Heirloom Cabinetry hand crafted to reflect your personal lifestyle. Design without compromise. Incredible custom finishes and custom finish matching (just bring us a photo or sample). SpartaCraft Custom Cabinets are known for excellence in custom cabinet design, material selection, construction and finishes. This is due to the many hand steps executed with pride by our dedicated craftspeople, using only the finest materials and the most advanced technology. Your design choices are virtually limitless. Achieving flawlessly functional and attractive kitchen and bath design in Black Mountain, NC requires a professional who specializes in these spaces. Not only do these rooms see the most action of the house, but they require the most planning and attention to detail. When designing them, a bath and kitchen designer must keep a strong focus on the homeowner's wants and needs while also considering things like potential resale value. Read the tips below to learn how to choose the perfect Black Mountain kitchen and bathroom design professional for your home project. What does a Black Mountain kitchen designer or bathroom designer do? A kitchen and bath design professional in Black Mountain, NC knows to take all of these crucial points into consideration and can help plan the layout, materials and overall look and feel of either of these rooms in your home. Kitchen designers, as well as bathroom designers, are constantly staying on top of trends in the ever-changing industry. The designer also knows the best layout for your room, and can configure the layout for optimal functionality and utilization of the space. In the kitchen the refrigerator, stove and sink should be laid out in relation to one another, and it should be seamless and easy to move from one to the other. A Black Mountain kitchen and bath designer will know how to work with a contractor and architect to plan the flow of the room to work best for your needs. Here are some related professionals and vendors to complement the work of kitchen & bath designers: Kitchen & Bath Fixtures, Appliances, Tile, Stone & Countertops, Cabinets & Cabinetry, Woodworkers & Carpenters. Before you talk to bath and kitchen designers in Black Mountain, NC, consider how you will use the room. For your bathroom, is it necessary to have a bathtub for bathing kids or pets, or would a shower suffice? Perhaps all you need is a half bath for downstairs or a smaller guest bath for occasional use. Similarly, for kitchen renovations consider your cooking habits. Do you eat out every night but need a space to entertain in? If so, a smaller kitchen might be fine for you, with a space devoted to wine storage or a bar, whereas others might prefer a bigger stove or extra cabinets. When interviewing Black Mountain kitchen and bath designers, make sure to share these habits so they can best fit the room to suit your needs. Find a Black Mountain kitchen designer or bathroom designer on Houzz. Narrow your search in the Professionals section of the website to Black Mountain, NC kitchen and bath designers. You can also look through photos in Black Mountain, NC to find a kitchen or bathroom you like, then contact the professional who designed it.